As many of you know Lorraine makes wonderful fizzy drinks from Eatwell Farm Flavors. She now has a distributor (Dairy Delivery) who will make sure that all the stores in Northern California can have her drinks on their shelves. 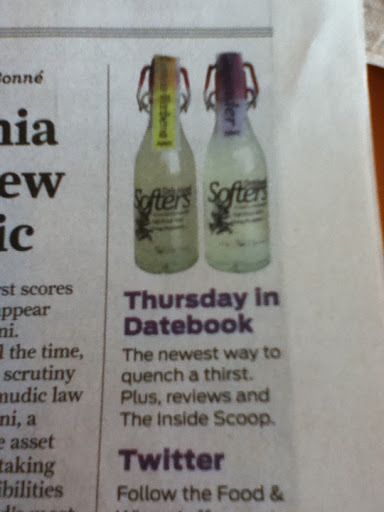 This week there will be an article in the Chronicle on Thursday about her Softers. They called her which is very positive.